Waiting on Wednesday is a weekly meme hosted by Jill at Breaking The Spine to highlight upcoming books we're excited about. This just sounds so amazing! A girl pretending to feel emotion, and personified emotions around her. I want to know more about Fear, and Elizabeth's dreams. Love and Death and Fear all tangled up - I think this will be my kind of book! And I love the autumn-feel of the cover. This does sound amazing! Although I think the cover is a bit creepy ;) Thanks for sharing! Cover is pretty but yes creepy too since she has no arms. lol To lose feelings weird! Great pick! Sounds like a really interesting concept. Nice pick! I hadn't heard of this until the cover reveal recently but OMG I want this book now! Doesn't it sound a bit creepy and just all around awesome? Such a great pick! Thanks for sharing. Here's my WoW. Happy Wednesday! This sounds amazing!! What a unique premise - I love the idea of personified emotions ♥ Definitely NOT something you see every day :) The cover is freaking spectacular too, thanks so much for sharing this one Carmen! Hope you'll love it when it comes out! Never heard of this book but the cover is just beautiful. Thanks for the pick! This sounds so freaking awesome. I am beyond excited to get my hands on this. I've never read a book, or heard of a book besides this, where emotions were personified. I've always liked books with death personified, so I'm sure I will love this. 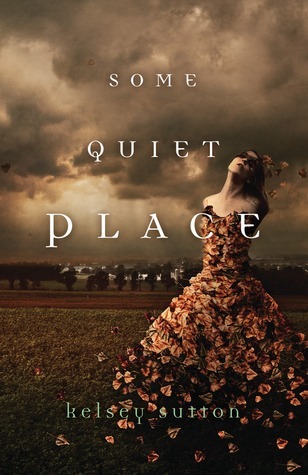 I kept seeing this cover everywhere but every time I went to goodreads I couldn't remember the title to check it out. This sounds soooo good. I'll definitely be adding to my TBR.